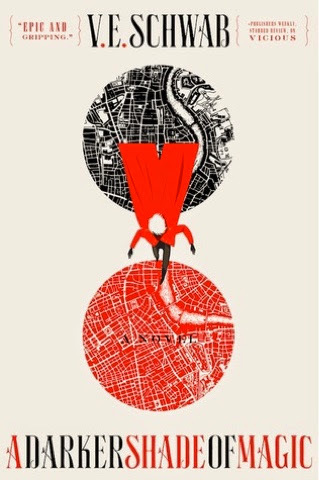 Today I am talking about the preview I got to V.E.Schwab new book, 'a darker shade of magic'. I was really excited to read this because I have never read anything by V.E.Schwab and I thought this would be a good place to start. The first thing I noticed was the odd set out of the book, there would be a random new line halfway through a sentence and that there was also random numbers in the middle of a sentence. I am not sure whether this was just a feature in this book or whether V.E.Schwab has that set out in all her books. Anyway I wasn't a big fan of that. That aside I really enjoyed this novel, I thought that the characters were very well written I. This short extract I felt really connected to all the characters. The world was also very well developed and not confusing at all (I was slightly worried all the different Londons would confuse me). I have a couple of theories about this book but the only one I will share with you as it doesn't have any spoilers, In case you are completely avoiding all spoilers.i think Kell is Scottish. I really enjoyed this extract but will not be reading the full book anytime soon as the set out of the book really distracted me from the content but I would definitely recommend it to you if this doesn't put you off.